TMGvets is excited to announce a new Affinity Partnership with the New York State Veterinary Medical Society! The New York State Veterinary Medical Society said "We carefully selected TMGvets for their value, service, and dedication to the veterinary industry." We are looking forward to providing New York state's almost 2,000 animal clinics with the same industry leading rates and excellent customer service we have displayed with our other state partners. TMGvets is now a Business Alliance Member or Affinity Partner with New York, Texas, Oklahoma, Colorado, and Louisiana, and a Supporting/Allied Member with Nevada, Arizona, Tennessee, Minnesota, and New Mexico. 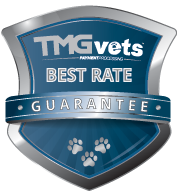 The TMGvets team, the leading processor for veterinarians, cannot wait to start making a difference for New York veterinarians just as we've impacted the business of many other veterinarians nationwide.